Does your neighbor’s credit habits impact how you handle your finances? According to some interesting data, the answer is yes. Credit reporting bureau Experian recently released its State of Credit report, and it shows that cities in one region have the highest credit scores in the country while a region on the opposite side of the country have the worst. Where does your city fall, and how does it compare to the cities with the best and worst credit? Let’s take a look at the results and see how your credit score stacks up. The best credit scores in the nation are almost all in America’s great north-central region encompassing Minnesota, Wisconsin, and South Dakota. With one exception all of the top ten cities for credit scores land in this region. The only oddball is San Francisco, which is nowhere near the rest. Four of the top ten are in Minnesota four are in Wisconsin. That is a very interesting correlation. What is in the culture of these states that puts them ahead of the rest in terms of credit? 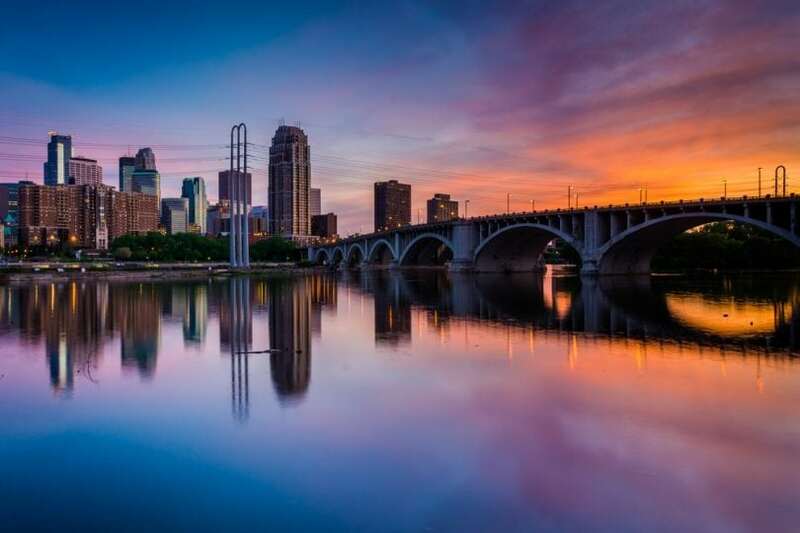 Looking at Minnesota, the region has a strong economy and relatively low cost of living compared to big coastal cities, so residents may find themselves in a better financial footing than other cities. Minnesota also ranks high in education, which doesn’t hurt career and job prospects. But at the same time, according to Experian, Minnesotans tend to be better at paying their bills on-time. The Midwestern mentality is to prioritize savings and pay down debts. The study found that Minnesotans keep credit card balances low and 80% of residents do not have any accounts past 90 days due. Low unemployment helps, but it comes back to the fundamentals of paying bills on-time and paying down debt. Is it because it’s so cold in the winter they just sit around looking at their finances? Or maybe it is a good example set by neighboring friends in Canada? I doubt it! As with the best credit scores list, the worst credit scores in the nation all come from the same region, with one exception on the list from California. Somehow the most populous state made both the best and worst credit score top ten lists! Until Government reigns in the massive and pervasive up charging in the medical industry it will be unlikely we shall see an upturn in personal credit scoring. Our family feels we will not be held hostage by these savagely greedy medical entities. With little left to battle, this industry our only real tool is non-payment of their unwarranted and unearned charges. If we are fortunate enough to reach agreements with these people payments will only be made once we receive written understandings to remove all negative information from our credit bureau files. Without this, we will not pay them a cent. This article identifies a state where economic conditions are booming and another region where financial conditions hinder the repayment of debt. I live in a community with little education and a greedy government. I can see people who live beyond their means and use credit to “Get By” whom lack the understanding of why Payday Loans drive people deeper into debt and the bank pushes services for their financial gain. The region you live in also affects insurance rates, so why does anyone believe credit score models are any different? Thanks for the information, I am starting all over again coming from and 821 to now a 517 is so hard to rebuild, recovering from surgery. I have so many collection and late payments, I can’t get any type of credit, where do I start? is willing to issue a “secured ” card to you. “score” in the 400s to over 760 in less than 2 years ; just keep on keep’n on ! plan or anything else related. long term experience in the “credit field’ ) I can tell you from my reading about it on Mike Roberts emails and website , I would highly recommend it to anyone who is experiencing any of the bad effects of a not so good to a bad credit score and is confused and or mystified about the why’s and what to do’s. I have met people who have suffered the bad effects of bad credit from marriage to retirement, never having experienced the benefits of a desirable credit score during all those years…Very Sad !